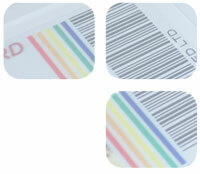 Spectrum Positive provides bespoke plastic card printing to customers throughout the UK. Set up in 2003, Spectrum Positive is based near Pontypool in South Wales. With a fully fitted work space, the company delivers a professional card printing service to a range of businesses and organisations of all sizes. The service is designed to be cost effective, helping clients design and proof their cards prior to print via email. 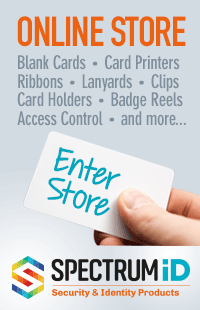 The business supplies long-lasting cards that are tailored to customer requirements and are highly practical. Enhanced security features including laminates, micro text, bar codes and more make the cards ideal for office and business purposes. We have a satisfied network of clients situated throughout the UK including security associations, specialist car companies, facilities companies, security companies plus many other businesses and organisations. Card printing is available at a reasonable cost. Contact us today for a no-obligation free quote or advice. Spectrum Positive holds membership of IPSA, the International Professional Security Association. Spectrum Positive is registered with the ICO, the Information Commissioners Office, and abides by the tenants of the Data Protection Act. Spectrum Positive is a member of the Torfaen Voice Business Club. We support Project Genesius, the Metropolitan Police initiative to reduce the access of criminals to the equipment and supplies they require to produce false identity documents. Information may be shared with law enforcement if we suspect that cards are going to be used to represent a person or persons in an official capacity without correct authorisation.